Wondering if ripples on the water fall into the FLAT category probably not. Okay how about this, when the draw bridge is down the surface is FLAT. 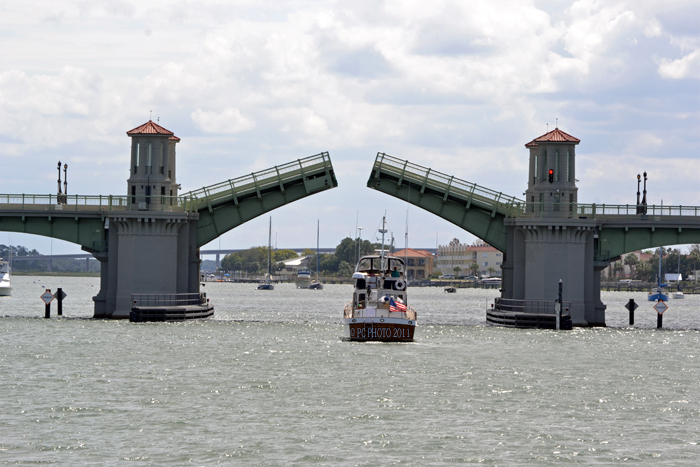 Steven likes to see the whole picture so this is a photo of the complete view of the Bridge of Lions that crosses Matanzas Bay.